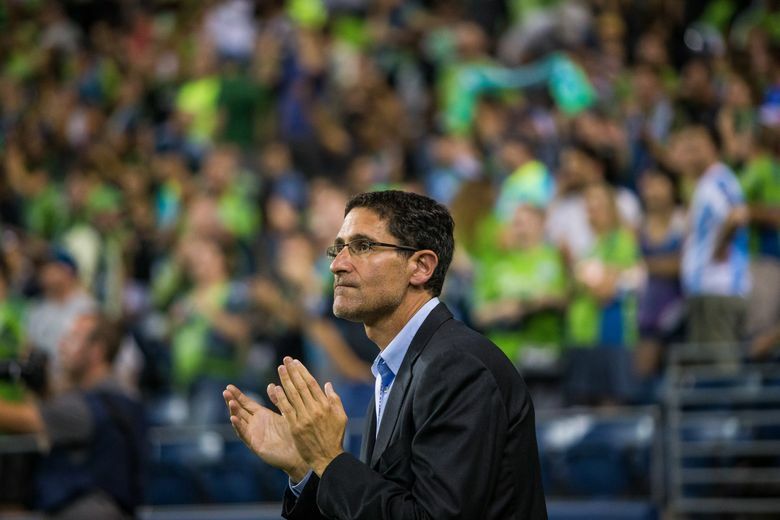 Adrian Hanauer is the new majority owner of the Seattle Sounders, as announced on Thursday by Joe Roth, the man who has held that title from the beginning of the club’s Major League Soccer existence — all that remains is the final process of dotting a few i’s and crossing a few t’s. Roth will continue as a minority owner, and he sat through the rest of Thursday night’s Alliance annual business meeting at the Paramount Theatre in Seattle. Roth spoke of “passing the baton” to Hanauer at the end of a bizarre opening speech in which he also referred to Guatemala and Nicaragua as “cocaine distributors” after mixing up winger’s Marco Pappa’s home country. Hanauer, characteristically, was less controversial. “There’s no one in our organization that doesn’t feel the pain,” Hanauer said, evoking the imagery of blood, sweat and tears while referencing the club’s exit from the playoffs in the conference semifinal round. Prior to the appointment of Garth Lagerwey as the team’s general manager and president of soccer prior to this season, Hanauer was both an owner and the GM for Seattle’s first six years in MLS.